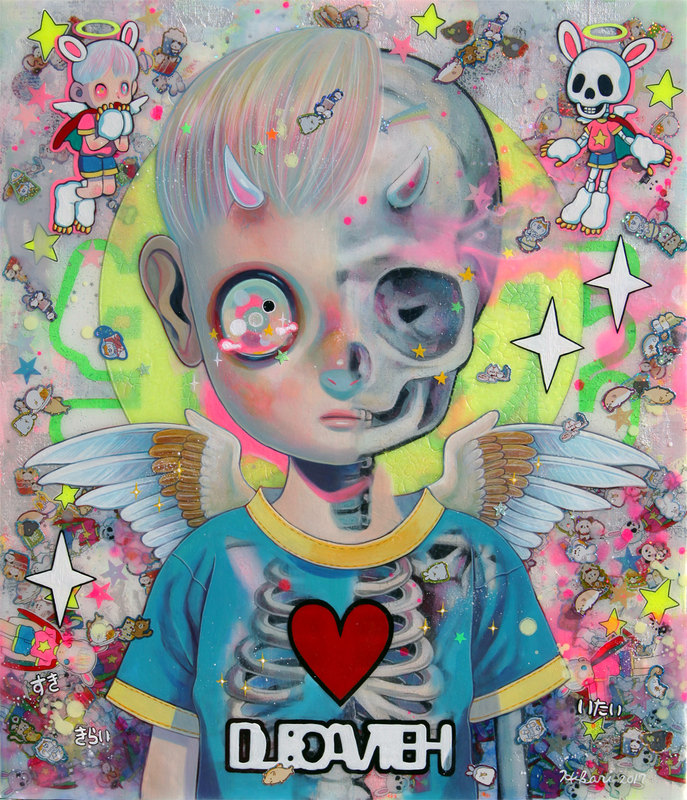 Hikari is releasing 2 new limited edition prints to commemorate her fourth solo show with Corey Helford Gallery, "Children on the Edge", available at the opening tonight! The prints are full color, high-quality reproductions of her new paintings "Children on the Edge - 3D" #2 and "Life and Death", limited to an edition of 30 each, signed and numbered. Check out the details below! Hikari's exhibition "Children on the Edge" both humanizes and expands on the mythology of her young characters. Hikari shares: “I have chosen the concept of “children on the edge” as the main theme to create these works. Children and adults, human beings and gods, souls and the living, and life and death… Everything has a “boundary” and we can grasp the essence of things only when we look at the middle of boundary, which is neither black nor white." For those who aren't in Los Angeles or unable to attend the opening, Hikari's prints will be also available through the gallery's print website at CHGPrints.com. Print inquiries should be emailed to [email protected]. For previews, pricing and purchase of the paintings, please contact [email protected].